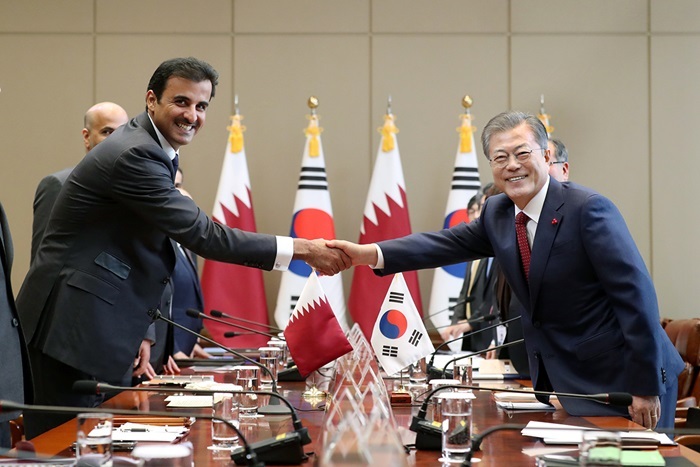 Qatari Emir Sheikh Tamim bin Hamad Al Thani (left) and President Moon Jae-in on Jan. 28 shake hands before their summit at Cheong Wa Dae. The two leaders agreed to expand economic cooperation from their traditional areas of energy and construction to a wider range of fields. 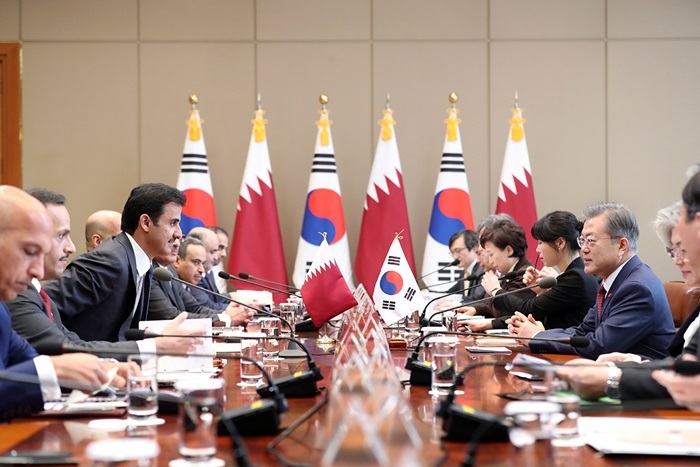 President Moon Jae-in (right) on Jan. 28 holds his first summit of the year with Qatari Emir Sheikh Tamim bin Hamad Al Thani (third from left) at Cheong Wa Dae.